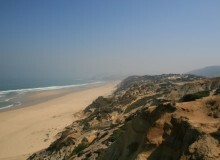 The west coast of Portugal near Figueira da Foz is of a stunning beauty and t’s just a few hours drive from the Quinta. Except fishing and swimming you can also canoe on the Mondego or go SUP in the river. We can contact the organisations for you. If you rather not go for a swim, SUP or canoe, you can explore the rivers in another way and try to catch your lunch or diner. 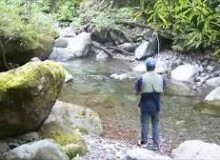 There are beautiful trouts and barbels in the river Alvôco. On the road to the Future! Without knowing which road to follow!